Rugby Academy of America announces Las Vegas Invitational Elite Team registration. Rugby Academy of America announced today that it will open registration for Men’s, Women’s, and High School team to compete in the USA Sevens Las Vegas Invitational competition. The competition is March 2nd to 4th 2018 and is the USA’s largest 7s tournament held in Las Vegas. 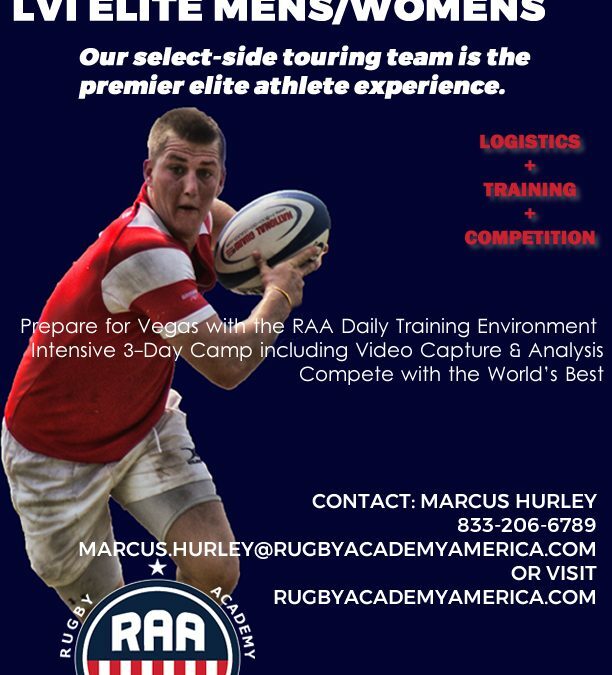 Rugby Academy of America (RAA) Select-Side Touring team is the premier elite athlete experience. RAA Tours are designed to mirror travel as an elite athlete preparing for international competition. The Tour offers elite training and preparation through it’s Rugby Daily Training Environment (RDTE), international competition, a professional tour director, athletic trainer, supplement partner program, and Olympic Development Academy (ODA) participation credit. For more information and registration visit rugbyacademyamerica.com or call 833-206-6789. 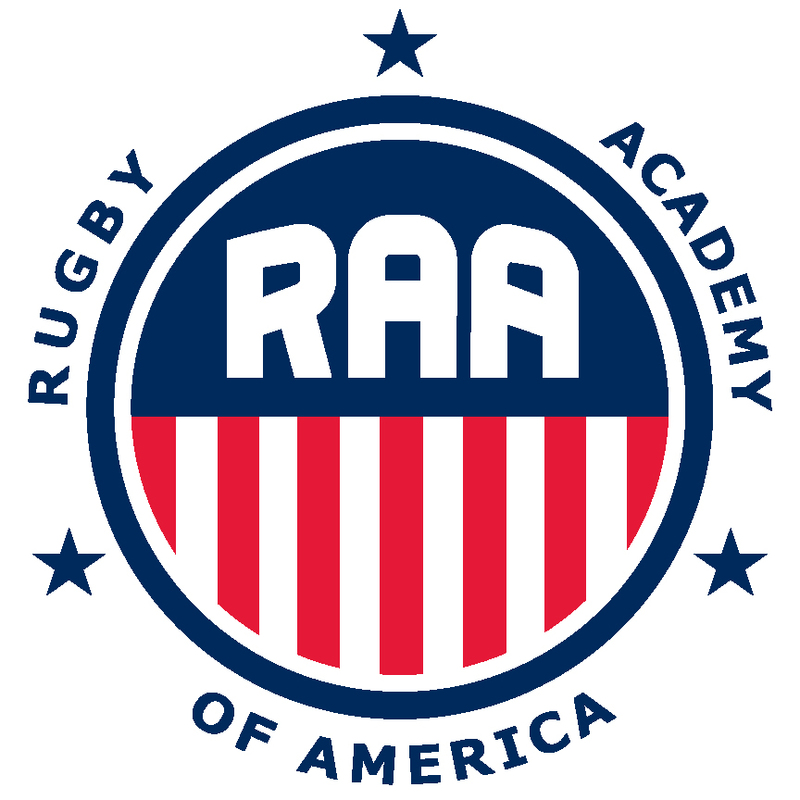 Rugby Academy of America is America’s rugby development destination. Started in 1999, the HSBC Sevens World Series is an annual elite-level competition series between nations, whose top professional rugby players compete against each other throughout the year for the World Series Title. National Teams compete for the HSBC Sevens World Series title by accumulating points based on their finishing position in each of the nine series tournaments. Beginning in 2012, Japan will become the ninth stop on the world tour. HSBC Sevens World Series is sanctioned by the International Rugby Board (IRB). USA Sevens is the US-based tournament that is owned and operated by USA Sevens LLC. Played on the same size field as traditional 15 a-side rugby, sevens rugby is played with only seven players per team. In addition to a keen understanding of how the game is played, pure speed and athleticism are the foundation for the sevens rugby standout. The game is played with non-stop action, thrilling attacks and game saving tackles. The USA Sevens debuted at the Home Depot Center in Los Angeles, California in February 2004, marking the first time the United States ever hosted an official IRB event of this magnitude and world importance. The tournament is now held in the party capital of the world, Las Vegas. With 16 Nations, 44 Games and 3 days of incredible days of action, USA Sevens is fast becoming one of the most exciting sporting events in the United States. The tournament has continued to see a massive increase in attendance for the past several years.